To begin a new ecosystem, start by planting some simple grass. Click on the grass in the "Plant Shop" and then place some seeds into the world. After a few seconds the grass will grow to its full size. 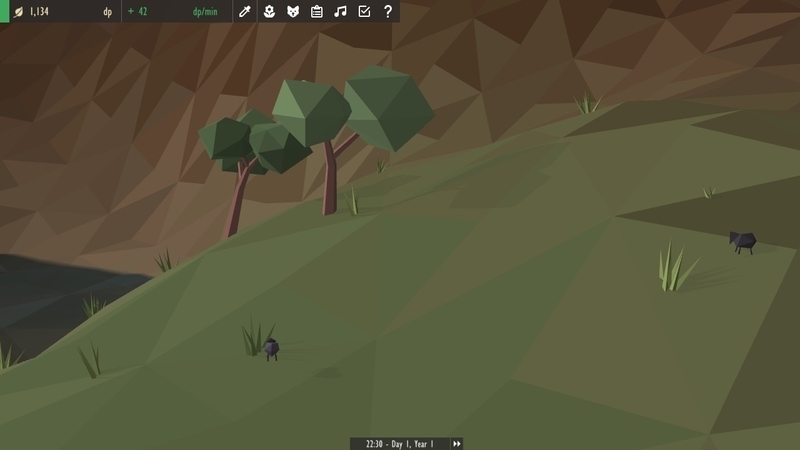 While you wait you can select the grass in the world by clicking on it, to see its current stats and other options. Time to add some colour into the world! Buy a flower from the shop and plant it. Plants in Equilinox slowly spread over the local area, so soon enough you'll have a small patch of grass and flowers. No need to buy more, they'll reproduce on their own!